We have been supplying Grundy, Will, LaSalle Counties, and surrounding areas with quality concrete and service since 1952. Our dispatchers are knowledgeable and willing to help you with any questions you have. Servicing North and Central Illinois, our 105' and 110' truck mounted conveyors can meet almost any material placement needs. Conveying Concrete, Stone, and other materials; these conveyors save time and labor. Ask our dispatchers for rates and see how much money a conveyor can save you on your next project. Concrete pumps have the unique capability to place concrete in areas that are not easily accessible. Either off the boom or hard piped into a building that a truck or conveyor just cannot access, a pump can place concrete on virtually any jobsite. Ask our dispatchers for rates on our 32Z and 38Z pumps. Our trucking companies can deliver bulk materials to your jobsite. We supply home owners and contractors of all sizes. We will be hiring several Redi-Mix Drivers in the spring to help support the expanding demand in the industry. Drivers of all experience are encouraged to apply. A CDL class A or B with air brake endorsement is required to operate a Redi-Mix truck. We have worked with diverse types of concrete. Lightweight to heavyweight, pervious, controlled-strength, high-early, LEED approved, water-tight, and all types of residential concrete. Any mix design can be custom fit to your project. Conveyors and Pumps have the unique capability to place concrete in hard to reach areas. With a dump rate of up to 360 yards per hour, conveyors can place concrete up to 105' away. Our 38 meter pump has a vertical reach of over 121' and a horizontal reach of 108'7". 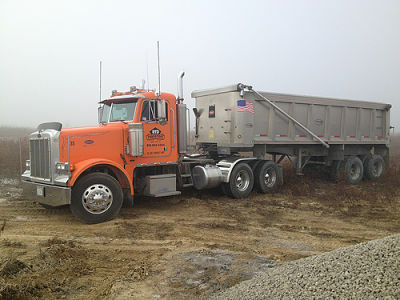 Let us handle the aggregate needs for your project. 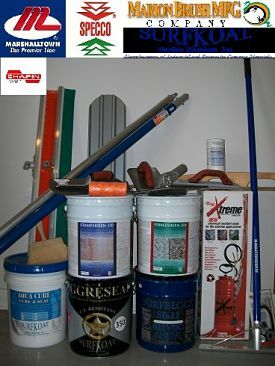 Click below to view some of our available material. We can also get just about any size aggregate upon request. Our portable plants give us the flexibility to extend our service beyond our 3 stationary locations. With only a 2 day set up time, we can be up and producing concrete at a rate of 160+ yards an hour in no time. This plant works great on windmill projects and can fit the needs of almost any job.